bands - No Man's Land and Parkland Country. A highlight in his music career was when he was asked to back up the Kentucky Headhunters Band from Nashville, USA at the Com & Apple Festival in Morden. Rick also coaches his son's hockey team and his daughter's ball team. 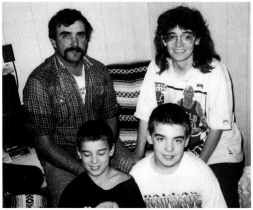 In 1987, Darren married Cheryl Melnyk from Sandy Lake and they have four children -Nicole, Jenna, Chad, and Riley. Darren is employed as Parts Manager with Peterbilt Canada and Cheryl operates a Day Care in their own home in Brandon. Cheryl works part-time doing income tax returns for H&R Block and is very involved with kids in Ukrainian Dancing. Darren coaches his son's hockey team. Mike was born December 5,1913, at Rackham in the Municipality of Harrison, to Tony Zatylny and Annie Woronicki. 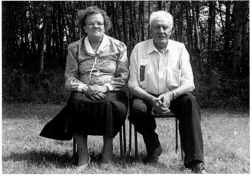 July 31, 1943 he married Mary Boyko, daughter of John Boyko and Annie Kopeechuk. She was born January 5, 1924, at Mountain Road. Together they raised three children. Edward was born June 1, 1944. He married Sonia Fiarchuk, daughter of Mike Fiarchuk and Mary Sichewski. They have three children: Angela, Lisa and Mark. Lisa is married to Chris Burton and they have a daughter, Jennifer. Sylvia, born October 20, 1946, married Don Kostiw, son of Bill Kostiw and Mary Yakimak. They have three children: Sonia and husband Mike Barrett; Garth and Michelle. Wayne, born April 22, 1962, married Christie Young, daughter of Jack Young and Donna Parks. They have two girls, Shelby and Samara. Mike and Mary farmed for 38 years. They moved to Erickson in 1990. Mike passed away December 8, 1999. John remained on the family farm. In the winter of 1990, John built a cattle shelter which burned down in the spring of 1990. Two calves were lost. A second shelter went up in the fall of 1991. John still does a little farming with his son, Harry. John and Helen have raised seven children. They also have 6 grandsons. Willie is the first child of John and Helen. He was born November 4, 1956. He attended Norland School then, later, Erickson Elementary and Collegiate. Willie works for Bradley Sand and Gravel, out of Brandon, and has been with them since 1979. Willie resides in Erickson. Leo is the second child of John and Helen. He was born June 27, 1958. He attended Norland School for Kindergarten, then finished his schooling at Erickson. At age 18, he went out to work for a constrnction crew. 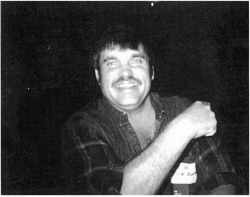 Later he went to work for Pioneer, which then led him to Pool Elevators, working on the constrnction crew for five years.